We think you should enjoy your outside space as much as possible, and the Sienna Canopy means you can make the most of those warm days. 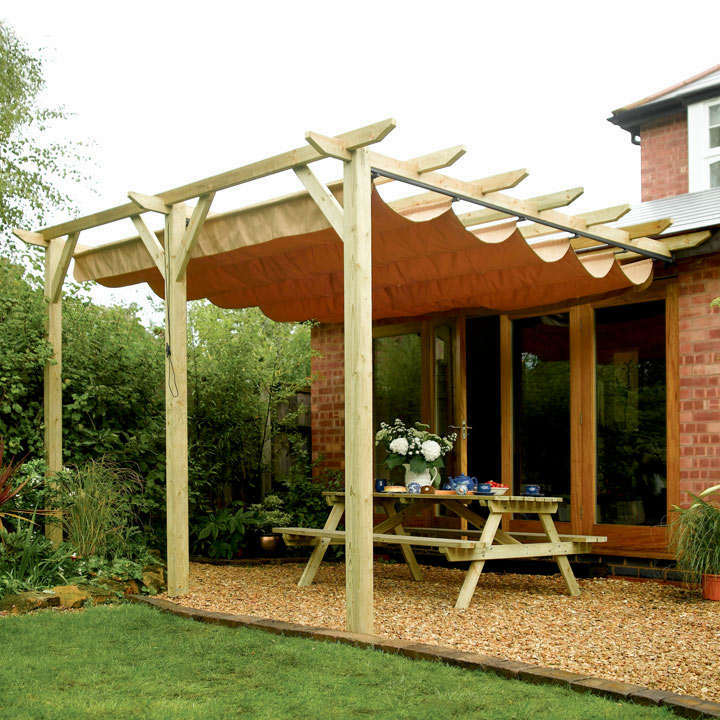 With a sturdy timber construction and a retractable canopy, the Sienna Canopy offers protection from sun and showers, so all you need to worry about is how to enjoy your time in the garden! Wall-mounted, retractable taupe-coloured canopy, showerproof polyester fabric (fabric removable for winter storage). Sturdy timber construction, pressure treated to protect against rot. Natural timber finish. 90 x 90mm upright posts. Wall fixing bolts provided. Dimensions: External - 2545mm height, 3900mm width, 3330mm depth. Available to UK Mainland only.